Home › › Teeth Whitening › How Not to Get “Colors of Autumn” Staining on Your Teeth. 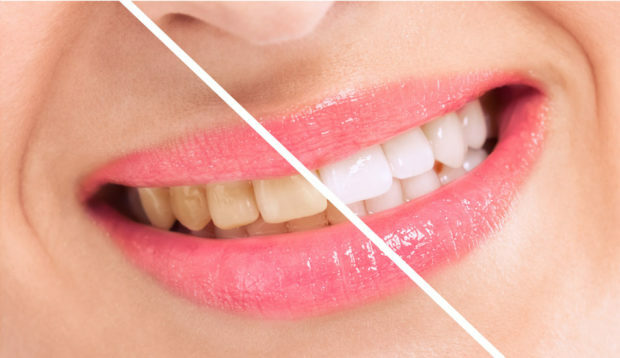 Everybody likes white teeth… A white clean smile, free of staining, is attractive and a sign of good health. But how to achieve it? 1) The enamel is stained (usually by color additives found in certain foods and drinks, or by smoking). This is called extrinsic staining. 2) The dentin (inner part of the tooth) is stained. This is called intrinsic staining and is due to reasons such as fluorosis (too much fluoride during tooth development), trauma during development of the tooth, or use of certain medications during pregnancy or early childhood. Some intrinsic stains can be caused by injury to the tooth nerve resulting in a tooth that is pink, brown, or even blue. 3) Combination stains that result from such things as tooth wear, chipped teeth, thinning of enamel, or receding gums that reveals more dentin which is naturally more yellow than enamel. Also as we age, fillings that used to be tooth colored, may darken or turn yellow or brown. It’s important to brush before meals to remove bacteria films that promote staining. How can we prevent or remove these “Colors of Autumn” stains from getting on your teeth? Regular tooth brushing 2-3 times a day and flossing is a “must” place to start. Choosing the right toothbrush (preferably electric rather then manual) can help to achieve a better result. By the way it is important is to change brush heads periodically, preferably every two to three months. 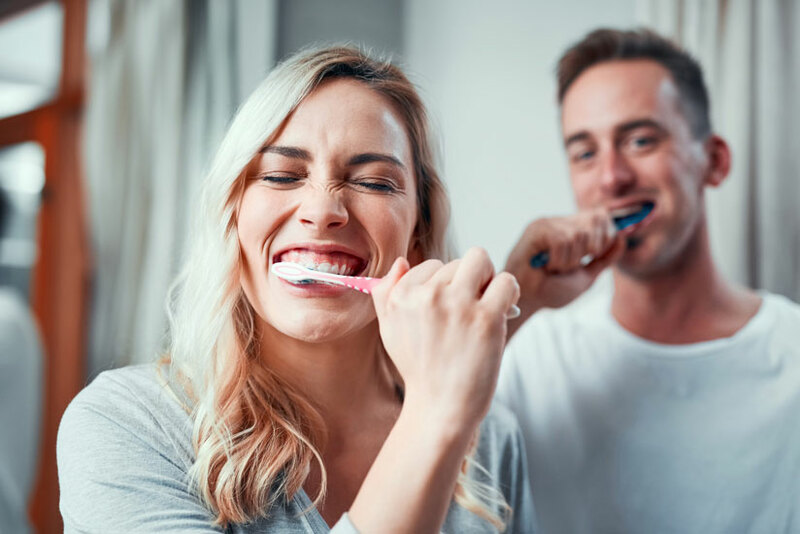 The best time to brush is before meals to remove the bacteria film making teeth smoother and so likely to collect new stains. We also recommend to rinse with plain water (non-sparkling) after meals. Light brushing is recommended 30 minutes after meals. Individualized professional advice from a dentist or dental hygienist can help. A dentist can also provide professional guidance on tooth whitening options and advise on the best products to use so as not to weaken but protect tooth enamel in the process. Small tooth chips and enamel wear of the incisal (biting) edges of front teeth can be corrected with noninvasive bonding repairs that can be well adapted to the tooth and polished so that they last and do not stain. Those not only enhance the aesthetic appearance of your smile but strengthen teeth as well. Aged and stained fillings in between teeth can be carefully replaced. Well placed white fillings can blend in with the other teeth and enhance your smile. All together these small changes where “less is more” can improve your smile, health and stay on budget. At PreserveYourTeeth Dentistry we will never remove natural and healthy tooth structure, but rather we will protect it and preserve it.